Marian Jane Valentine (Kreig) was born on July 16, 1923 to George and Virgiline Kreig in Kansas City, Kansas. She was their only child. When Marian was a young child, the family moved to Detroit, Michigan, where she graduated from high school. Following World War II, she married Donald Valentine in April, 1948. The couple resided in Detroit and had two children, Alan and Vicki. Marian worked part-time in Detroit as a legal secretary. She enjoyed visiting with friends, traveling to Canada during the summer months, and raising her two delightful children! 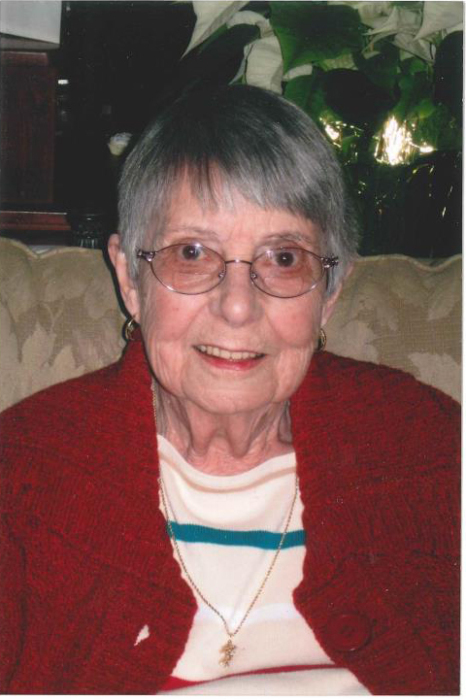 In 1990, Marian, her husband and her mother moved to the Philadelphia area to be close to her daughter, who was working in the area as a teacher. In 1992, Marian's mother passed away, and in 1998 her husband also died. Marian continued to reside in the Philadelphia area with her daughter close by and assisting her until her death on November 8, 2018. She is survived by son Alan (Nadine), daughter Vicki Torson, grandson Matthew Valentine, and friends/family members who enjoyed her presence. Visitation will be held Thursday, November 15, 2018 from 12:00pm until the time of the funeral service at 6:00pm at Manns Family Funeral Home, 17000 Middlebelt, Livonia 48154.